This guide is designed to answer questions and provide information to ensure your comfort, safety and enjoyment during your time at CI. Please feel free to ask any questions this guide may not answer for you. 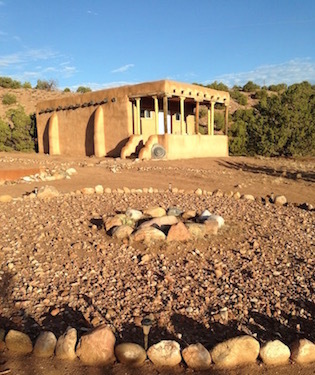 The Cuyamungue Institute has its home on 472 acres of mountain desert at the northern outskirts of Santa Fe, New Mexico, adjoining the reservation land of the Pojoaque Pueblo. To the east the Institute looks onto the Sangre de Christo Mountains, named the “blood of Christ” because they take on a deep crimson color in the light of spectacular New Mexican sunsets. 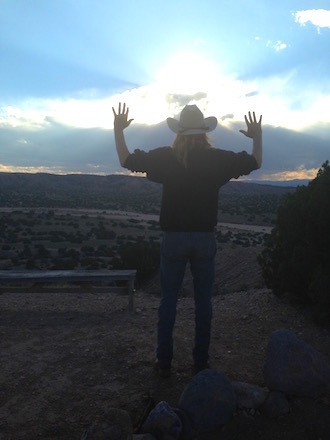 To the west, across a wide dry riverbed, are the Jemez Mountains where, according to Pueblo legend, humans emerged from the darkness of the Third World into the bright light of the present-day Fourth World. To the north is the dim outline of Taos Mountain, nearly 60 miles away. To the south, fifteen miles away, is the central Plaza of Santa Fe. Cuyamungue Institute offers rustic, simple accommodations. 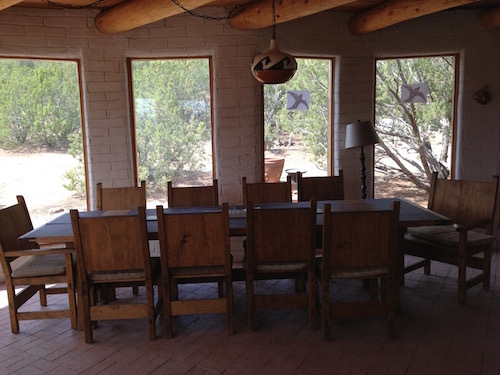 The housing is shared, not private, with comfortable furnishings reflective of the Southwest. The buildings are air-conditioned by electric fans and the breeze that flows through open screened windows and screen doors. 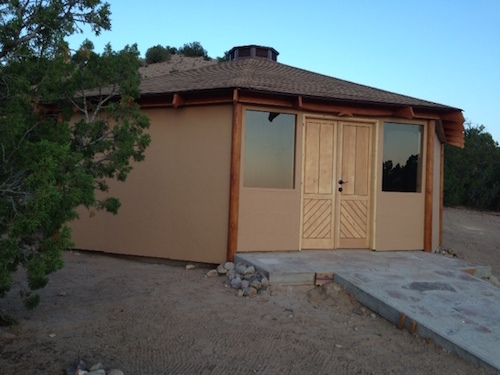 Guest quarters have no clocks, radios, TV or Internet capabilities. Towels, washcloths, sleeping bags, sheets and pillow cases are provided for your use. Two shared bathrooms are located in the Student Building. Each has a shower, hooks for your towel, and shelving for your bath kit. None of our trails, roads, paths or walkways are paved. BIRDS EYE VIEW of the Cuyamungue Institute. View from the sky showing the layout of the Institute buildings. The Student Building is where we congregate to prepare and share meals, visit, and lounge. 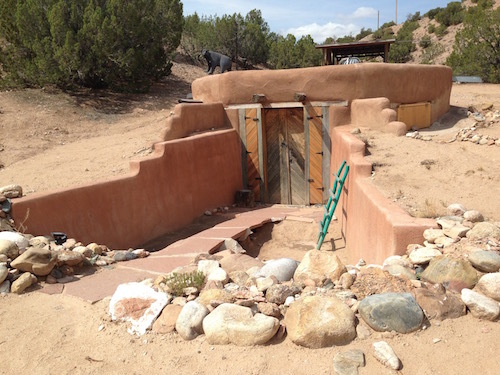 The Casita is a smaller guest building next to the Kiva. 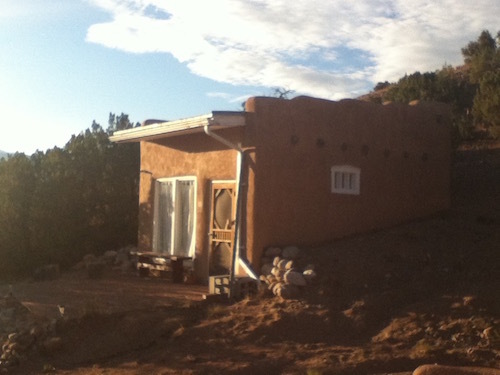 Originally built as lodging for Felicitas, it is quaint, cozy and charming – has two bunk beds – four beds. 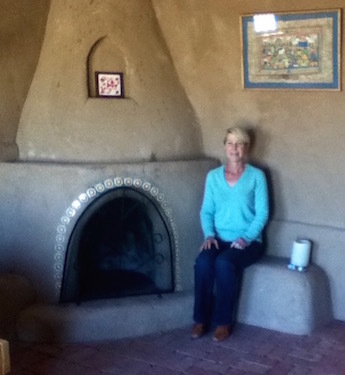 The Kiva serves as our classroom and gathering place for experience research. Conserve Energy – Please help us practice conservation of resources by turning off lights and fans when exiting a building, and closing doors when entering and leaving. Water is precious here; use wisely. “Military showers” and “California Flushing” are appreciated. Shoes – Sturdy shoes such as boots or sneakers are recommended. It is also advisable, because of the insect world here, to shake out your shoes before putting them on. Telephone – There are no phones in the guest rooms. Most cell phones do have service here but there are times or places when service can be interrupted. TV/ DVD and Wireless Internet – We do not have TV/cable here. 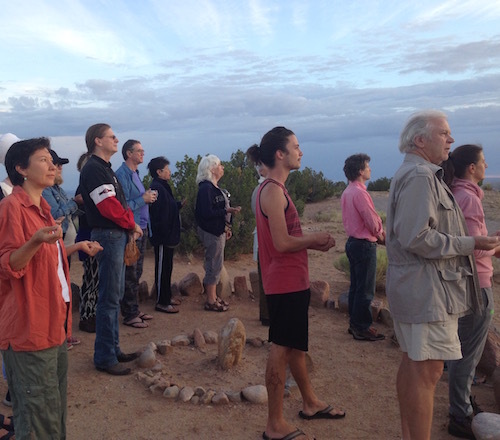 Our goal is to provide you with the time and space to rest and reconnect with your deepest self, your creative talents and your spiritual journey. We seek to limit distractions. Meals – All meals are provided during the workshop. If you arrive earlier and stay later than the designated days of the workshop, you may either bring along food for those days, or ask your instructor if you may contribute to the meal budget to cover those few extra meals. Discus any special dietary needs well in advance with your instructor. While you may bring along special need food or snacks, please do not store or eat food in any buildings aside from the kitchen and dining hall so as to avoid attracting rodent and insects. Smoking / Fire Safety – All Cuyamungue Institute buildings are non-smoking. Smoking and all use of an open flame outside is discouraged due to the high fire hazard in our dry climate. Guests who do smoke must do so only at the designated area for smoking. Scents / Incense – We ask that you not use candles and incense in rooms in order to prevent accidental fires. Please refrain from strongly scented perfumes or soaps when you are attending a group. We are a Alcohol Drug free facility. 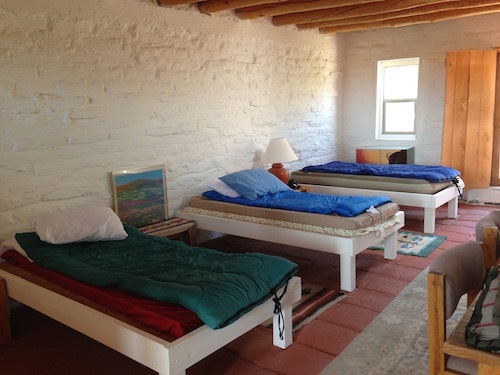 Sharing Space / Quiet – Many people come to The Cuyamungue Institute to enjoy the opportunity of socializing; others come to seek solitude and silence. If you have come with a group, please talk to each other about your needs for quiet/alone time and how you can respect the different needs of the group. If you are here alone or notice others who are visiting at the same time, please respect their need for quiet in the guest lodges and other areas. When holding conversations, please be mindful of others who may retire early. We request that all guests observe quiet time after 9 PM. 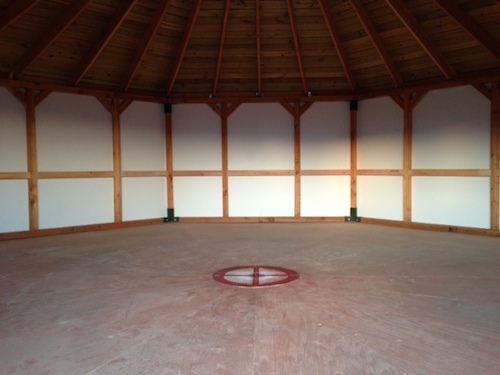 Hiking / Leaving the grounds – Please inform a member of your group or your instructor whenever you go off the premises. When hiking, do not go alone, and bring water. 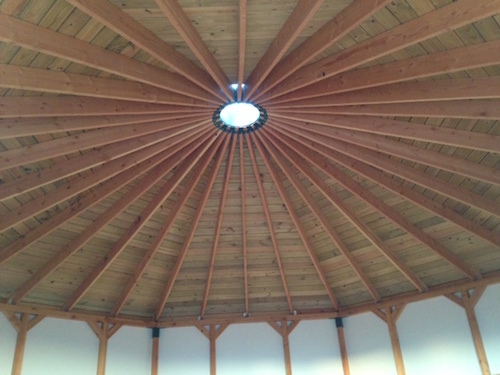 Evaluations – We welcome your comments about the Institute and our workshops. Your feedback is very important to us. Please share where you heard about us, why you came, how you felt about your experience and suggestions about what we can do better or differently. These are all pieces of information that help us do our jobs better. We also love stories about your stay and are especially appreciative if we have permission to use your story in our newsletter or website. Checking out – Please check carefully for all your belongings. If you do forget an item we would be glad to mail it to you, and you will be charged a minimum postage handling fee of $10. Every ecosystem has its beauty and dangers. This region is no different. Whenever we journey to a new land it is important to educate ourselves so that we can be mindful guests and also take care of ourselves to the best of our ability. The following information is respectfully offered so that you may be well informed to prevent mishap or crisis. This is a land of wonder, beauty, expansive skies, endless stars, breathtaking views and delicate bursts of colors amidst some challenging terrain. The following tips will help you enjoy your visit. The surrounding area is mostly desert landscape, scattered with lava stones and rocks. It is advisable to wear good hiking or walking shoes or boots and to remain on pathways if possible. With prickly dried grass and cactus, it is not advisable to go barefoot. If you go “cross country” pay attention to your footing. Make sure you pay attention to the route you are taking so that you can find your way back easily. You should inform a group member of your general destination and expected return time. Also, the weather here can change quickly, with temperatures dropping significantly at dusk and at night. Make sure you have extra clothing, a flashlight and water with you. A cell phone may also be a good idea to call for help in case of an emergency. 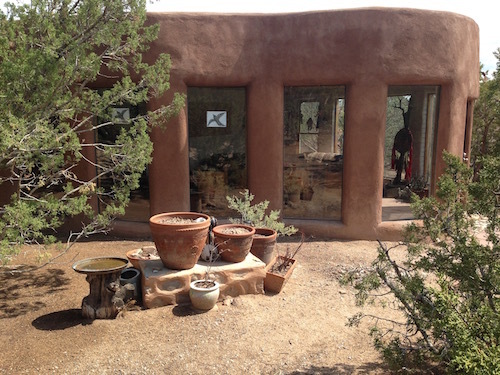 The Cuyamungue Institute is located in the high desert area 17 miles north of Santa Fe, New Mexico. We are at roughly 6000 feet altitude. If you are sensitive to the altitude, we strongly suggest that you remember to keep yourself fully hydrated throughout your stay. We will provide drinking water, juices and herbal teas. Some have recommended taking the supplement CoQ-10 a few weeks before arriving to offset any side effects like headaches. Difficulties with dehydration are not the norm, so use your own guidance. The cool breezes that tend to blow here year round can make you feel as if you are not getting a lot of sun, but you probably are. Please use sunscreen and pay attention to your sun exposure outdoors. The area abounds with wildlife. To ensure that you have a safe and enjoyable hike in the area please pay attention to the natural world around you. Any time we explore the wild it is important to remember our place. Walk gently on the earth. Almost all of the time wild animals will run away from human intruders when they can. Most often, if they do not feel cornered or threatened they pose no danger. Generally, it is best to quietly walk away from animals. Both Rattlesnakes and Bull snakes — which look similar to rattlesnakes but are not poisonous — are common to this high desert region. Snakes have been sited on our grounds over the years, but it is a rare occurrence. There have been no known snake bites during The Cuyamungue Institute’s history. Snakes hibernate and are usually in their dens from mid October through March in our area. Snakes are seasonally diurnal and move between hunting sites during the day in the cooler spring and fall months. They like to sun themselves during the day, and they are primarily a nocturnal animal, hunting for prey on warm summer nights — so take a flashlight when walking outside. To avoid happening upon snakes, watch for slither marks in sand left by snakes. Step on top of logs or rocks before stepping over to look at the area; snakes blend with the landscape so make sure you are not stepping onto a snake. A walking stick is useful to check out areas before stepping into them. Do not reach into crevices or fallen trees. If you must move something, or reach into anything, use a stick first. Boots and gloves are always suggested when working outdoors. Should you see a snake, stay alert and do not panic. Do not try to handle or approach a snake. Baby snakes are still venomous. Move directly backwards from a snake. Movement to the left and right can be perceived as a threat. A rattlesnake can strike a distance of one-half to two-thirds of its length. Glance around your surroundings to make sure you are not running toward another snake in the area. Should you get bitten by a snake, get immediately to the hospital. Call 911 and tell them what hospital you are going to so they have anti-snake venom remedies on hand. Not all hospitals have a supply. Scorpions are nocturnal and hide during the day. Some species will hide under rocks, logs and in cracks; other species will dig and hide in burrows. The sting can be painful like a wasp or bee sting, but is not dangerous unless you are allergic and rarely results in further medical complications. Scorpions are not aggressive and most often sting as a result of accidental contact. DO NOT leave clothes, towels or bedding on the floor as they may become a hiding place for scorpions, and check your shoes before putting them on. Occasionally we have seen scorpions in the drains after a heavy rain. The spiders in this region call for general precautions. Bites are very rare. The main spider of concern is the Black Widow, which like dark, damp areas and are not usually seen in, or around our buildings. Do not reach into dark spaces, hollow trees or under rocks without proper gloves. Is Alcohol Permitted? The use of drugs and alcohol is prohibited on the grounds. Are pets welcome? Pets are not allowed at The Cuyamungue Institute on the grounds or in buildings. Are children allowed? Most of our guests are adults. At this time, we do not offer children’s programming.